Hello, dear readers! 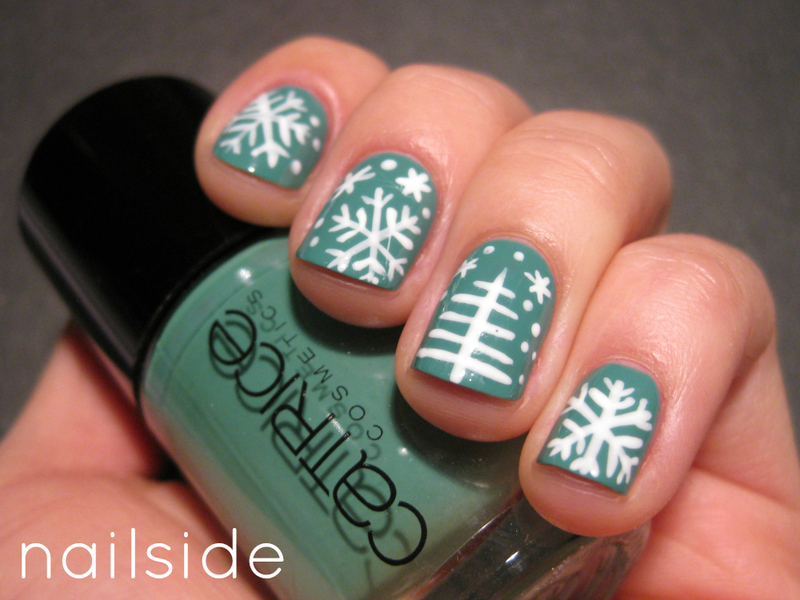 Here are pictures of my first winter mani this year, on my shorter nails. Stress made me bite every single of them. :-( That didn't happen in years! I still like my nails a tad longer, but that doesn't stop me from painting them. 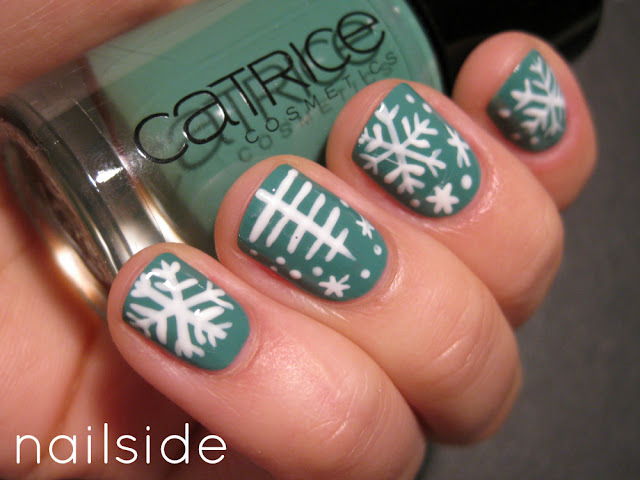 :-) The lovely basecolor is Catrice's I Sea You and on top I drew the bare Christmas tree from my last tutorial, plus cute snowflakes that you can practice yourself with this tutorial from last year. Have a great day! i love the simplicity of these. they're so pretty. and i love that base color... wish they sold catrice in US! Beautiful! I love the tree. super cool......jus lov it !!! !